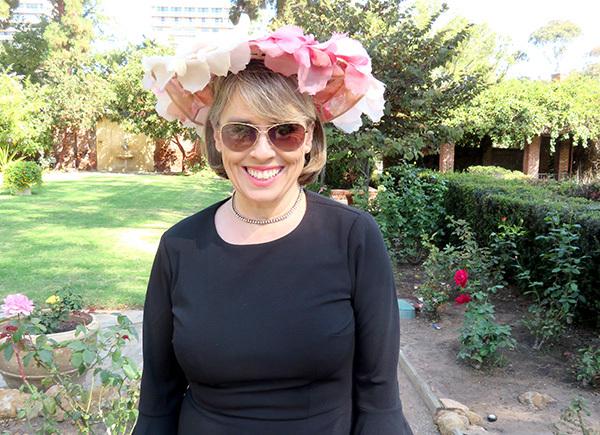 Marston House presented “Hats Off To Marston’s” on Sept. 23 in Balboa Park. Guests were treated to mimosas and refreshments on this picture-perfect day. All of the hats in this vintage hat fashion show were from the Marston’s Department Store, founded in 1878 and was “the place” to shop for more than 100 years. The fashion show was on the lawn overlooking the beautiful rose garden and next to a Craftsman-style house. Milliner, and yours truly narrated the show. There were a variety of hats from different decades such as wool berets, pork pie hats, and one of my favorites was the cartwheel hat. The 1947 New Look by Christian Dior was another style shown. Models wore mink hats and the less expensive fur such as muskrat, which was known as “Hudson Seal.” Cat Frasier modeled a triangle-shaped felt hat with an original Marston taffeta dress from the 1950s. Angels of Aseltine presented “Fashion Through the Ages” on Sept. 26 at the Handlery Hotel. Joe Cromwell provided the music for the afternoon. The co-chairs were Jackie Bailey and Yvonne Silva-Berberet. The master of ceremonies was TV personality, Lisa Remillard. The costume fashion show was a 2018 tribute to the Roaring ’20s. Nine local charities competed for cash prizes by modeling 1920s costumes on the runway. Patrons of the Prado took first place for $1500. 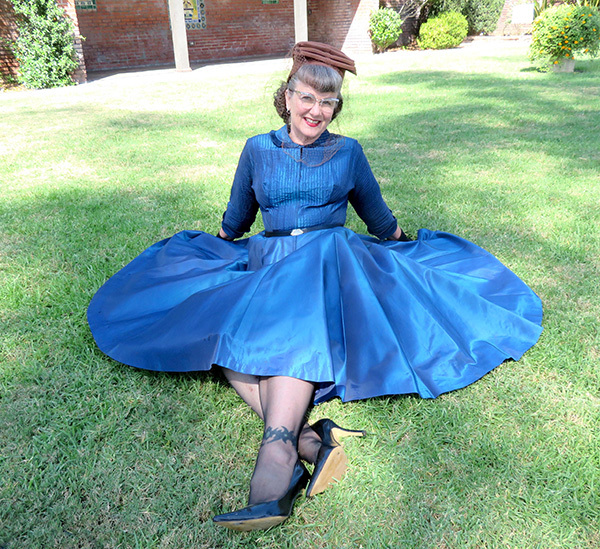 The winner, Arlene Esgate, wowed the crowd with a dance rendition of the Charleston wearing her 1920s costume. St. Madeleine Sophie and G.O.L.D. Diggers tied for second place, taking home $875 and The New PATH captured $500 for their organization. The Globe Guilders, Lions Tigers & Bears, Women’s Museum, and Write Out Loud were all given $250 for participation. Proceeds for this event go to the Aseltine School, which has students from K-12. Students come to this innovative program because their needs are not met in regular surroundings. The classes are small with individualized instruction. For more information, visit: aseltine.org. Oct. 5-7 – Gaslight Steampunk Expo at the Town & Country Hotel. Saturday is the Flights of Fancy Fashion Show from 1-2 p.m. Sunday is the Victorian Ice Cream Social and Fashion Show from 1-3 p.m.
Oct. 10 – RAW San Diego: Natural Born Artists at the House of Blues in Downtown. This multi-faced arts events will feature music, art, and fashion beginning at 6 p.m. For more information, visit: rawartists.org. Oct. 30 – Party With ‘Z’ featuring a fashion show and luncheon by Dame Zandra Rhodes at the Westgate Hotel from 11 a.m.–2 p.m. For tickets, call Tina Hingle at 619-557-3611.